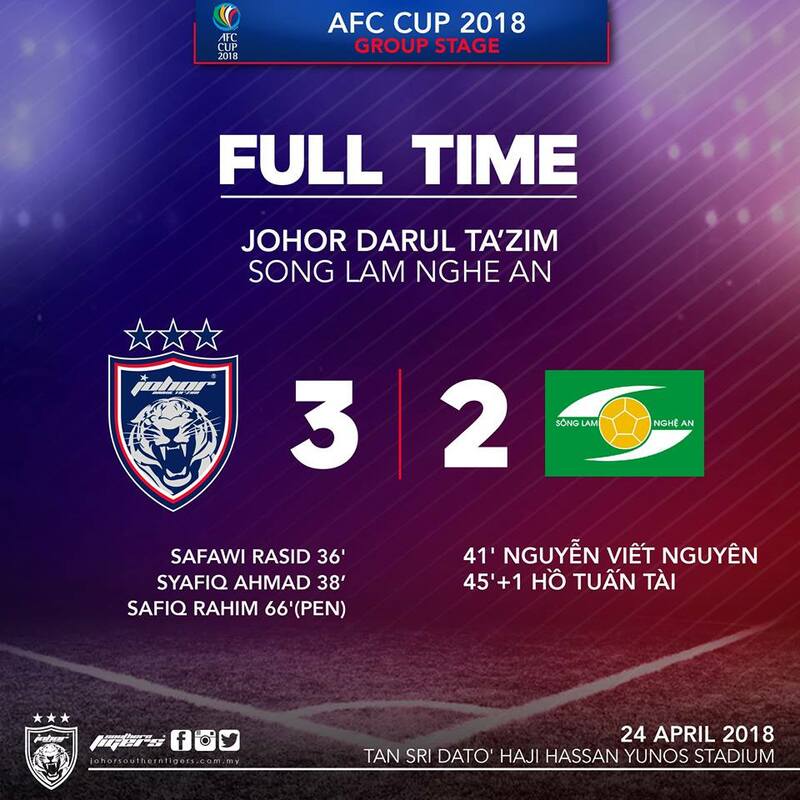 Enjoy the full video goal gights jdt 3-2 Song Lam Nghe An afc cup on 24 april 2018. The scorer of this match. Even jdt get three point from this match, jdt fails to move in the next stage , because the total goals and agggretage not enught becasue Song Lam get same goals, but the aggregate is advantage from Song Lam is more.